Through the IWMA’s SLO Take Back Program, every retailer that sells household batteries in San Luis Obispo County must take those items back from the public for FREE. To be recycled through this program, batteries should be fully discharged. Our friends at Call2Recycle reported 14 million lbs. of batteries and cell phones were recycled in 2016 thanks to people like you! We hope you help spread the word to family, friends, and colleagues about National Battery Day coming up this Saturday, February 18th and bring all unwanted batteries and cell phones to any free drop off location near you. You can also get involved by sharing the Call2Recycle Campaign https://www.facebook.com/Call2Recycle/ on your social media platform, and emphasize how easy it is to recycle by including this link http://www.call2recycle.org/locator/ of locations near you. You can also visit the Call2Recylce website (http://www.call2recycle.org/) for more information. Most single use batteries can be replaced by rechargeable ones. Consider switching batteries so you can reduce how much hazardous waste you generate. 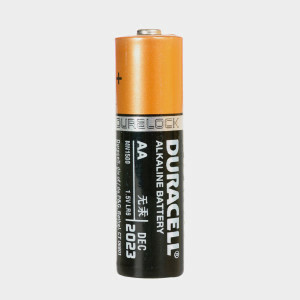 Today’s rechargeable batteries are even made to have the same battery life as single use ones. Try conserving the battery life of your electronics so you can get more use out of those batteries. Turn off battery-powered devices when they’re not in use, and avoid exposing electronics to cold conditions.